How many oceans are there and can you name them? Most people can come up with three – the Pacific, Atlantic and Indian Oceans. They are, in fact, the largest. 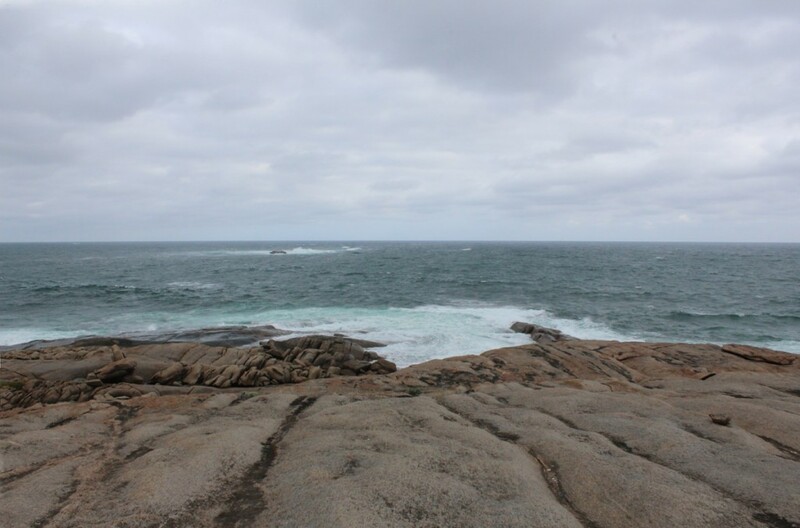 But there are two more – the Arctic Ocean and the Southern Ocean. 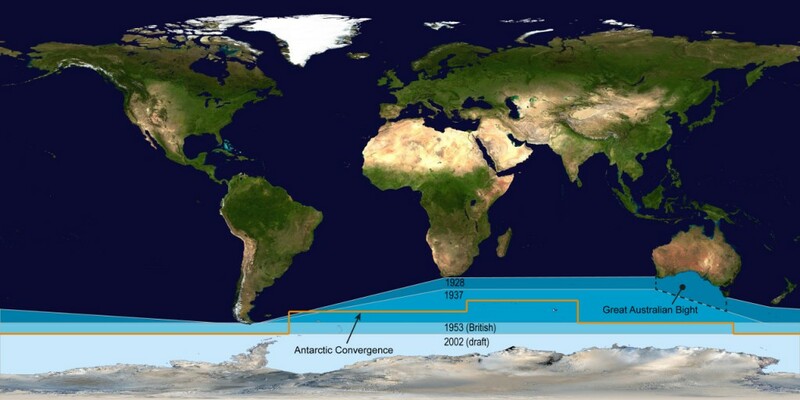 The Southern Ocean is sometimes called the Antarctic Ocean. 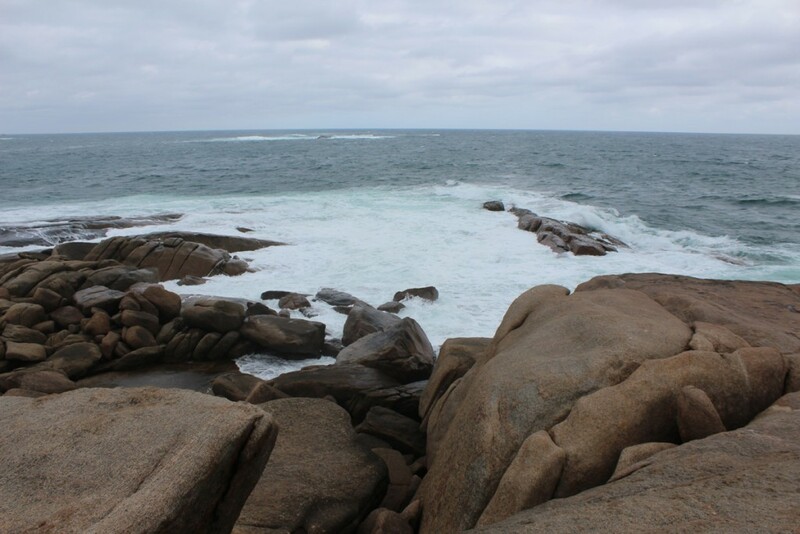 It is so-called because it blankets the southern hemisphere, encircling the continent of Antarctic. The boundaries, however, have shifted over time. The first map published by the International Hydrographic Association in 1928 had the northern boundaries touch Cape Horn, the southern end of Africa and the entire southern portion of Australia. That’s the area marked as the Great Australian Bight on the map. Since then the boundaries have been progressively moved south. 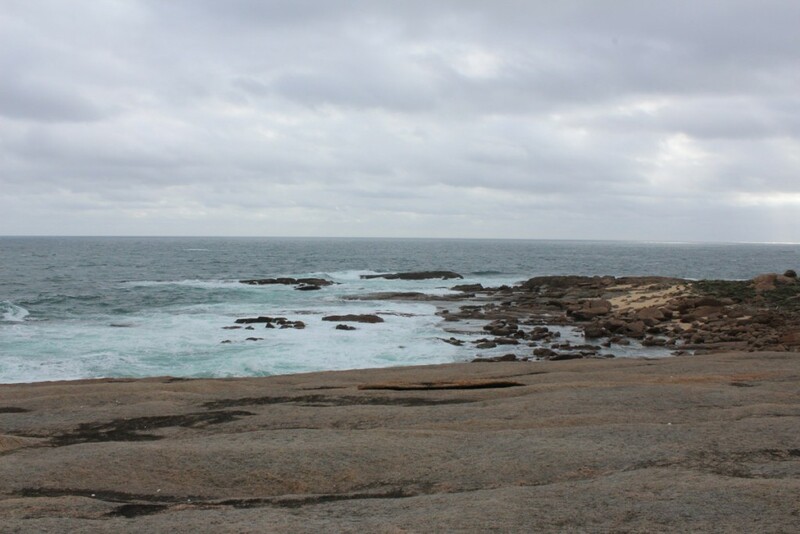 Australia, however, still considers the body of water to their immediate south as the Southern Ocean. 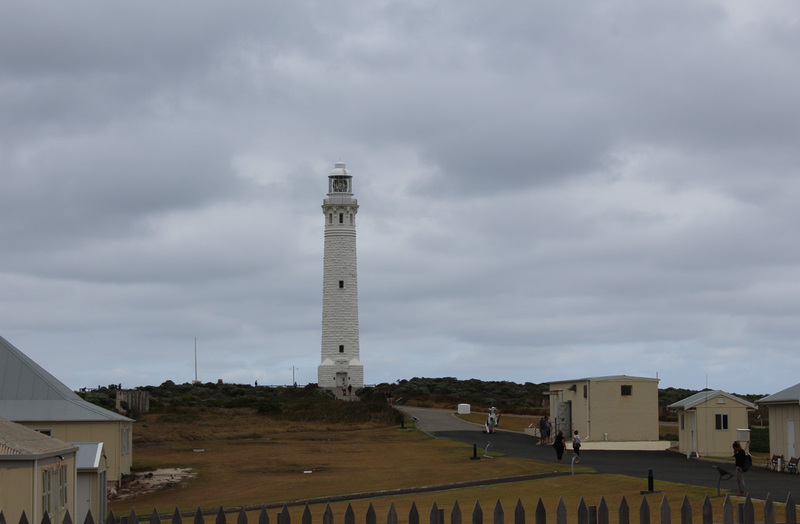 In any event, the last place we visited on our Margaret River road trip in March 2016 was to the Cape Leeuwin Lighthouse near Augusta. 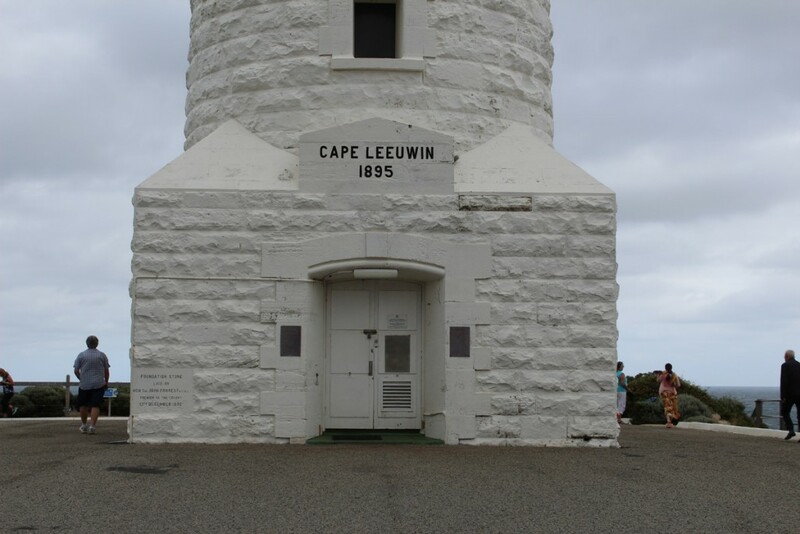 This historical beacon was opened in 1895. 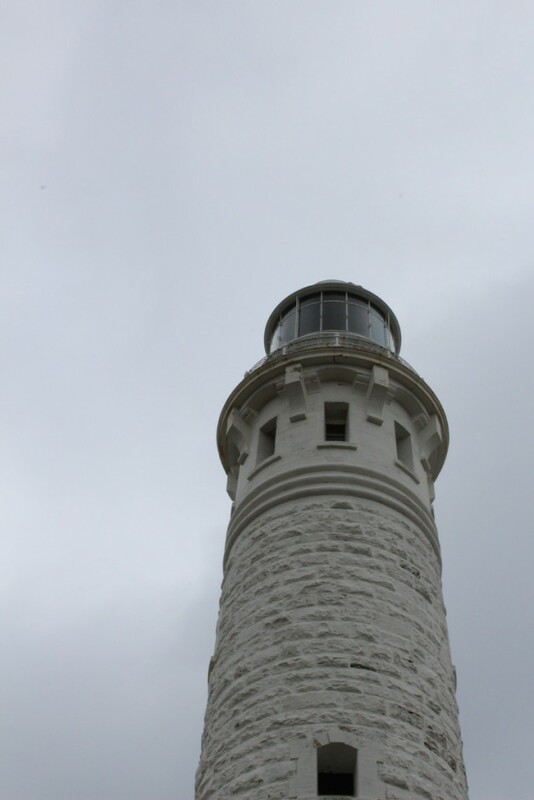 Today it is a fully automated lighthouse. While the tower itself is closed to the public, the grounds are not. For a nominal fee you can get headphones for a guided audio tour. The colorful history of the site is related on the audio tour as well as on signs along the way. The numerous outbuildings are explained. 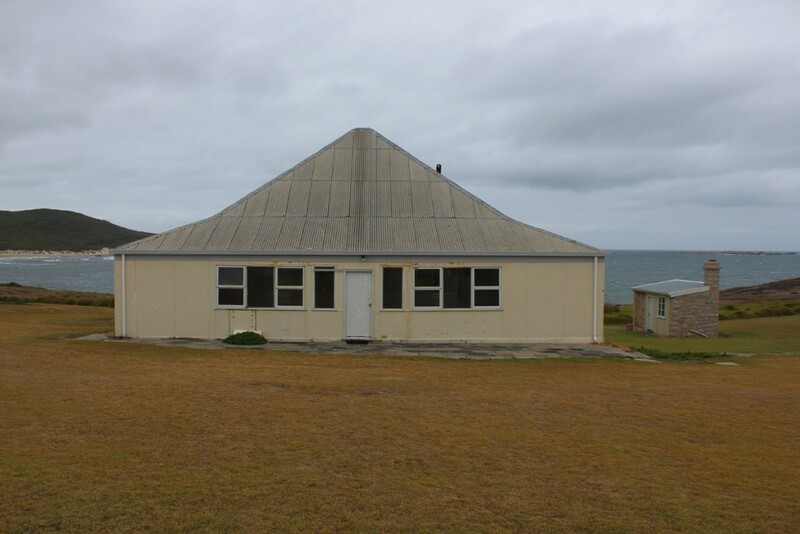 They include the lighthouse keeper’s cottage. The lighthouse keeper’s cottage. Now just a relic as the lighthouse is fully automated. 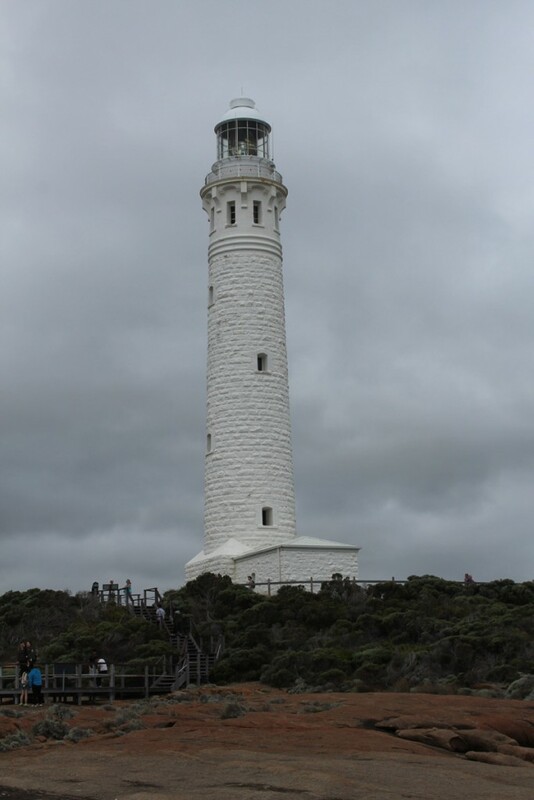 Although you can walk around the lighthouse, you cannot go up the tower. But there are walkways all around. 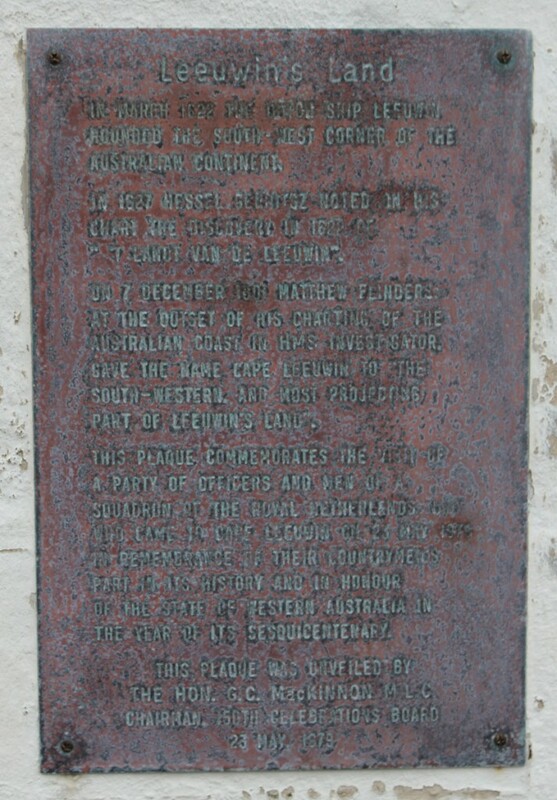 And signage describes the history and the landmarks to note. 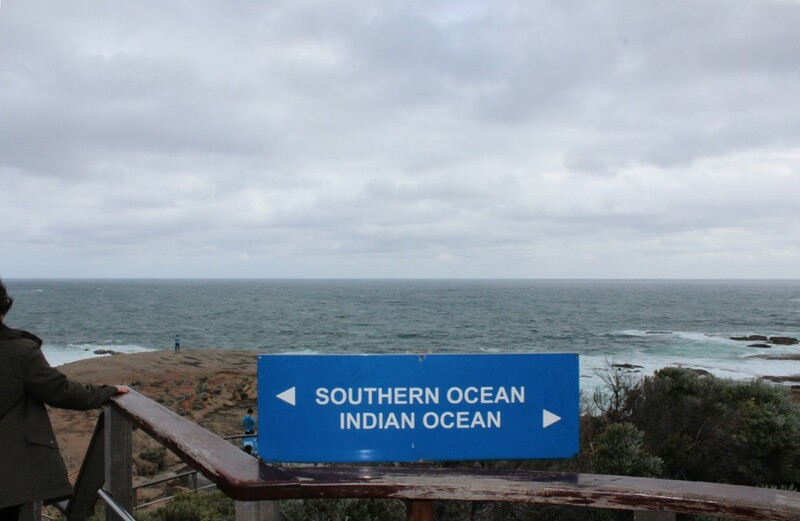 Two oceans meet. That’s no ocean, you say? Bight me! We took the steps down to the rocks below. Access is blocked but it is easy to get through the fence. The wind and the waves are a beautiful sight. On our walk back we once more passed an interesting piece of pop art – a cow with a telescope. It’s called Moorine Marauder. 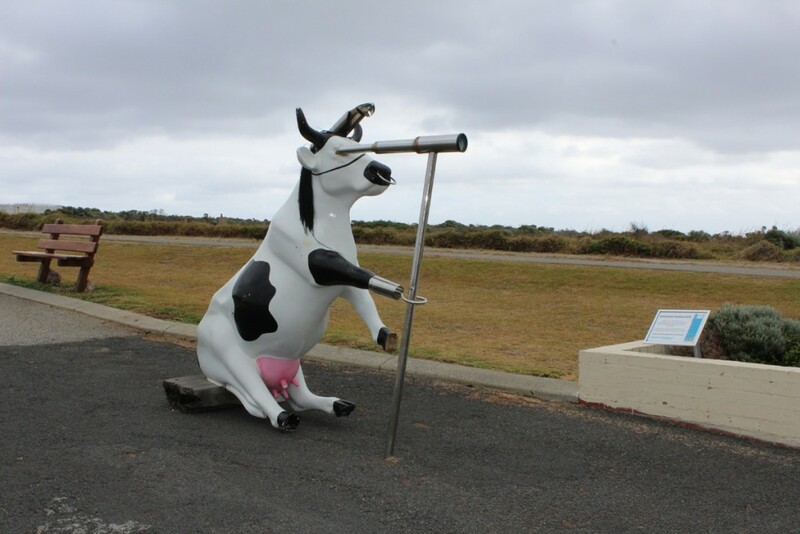 A nearby sign tells the story: From March to June 2010, 85 cows were positioned across the Margaret River Region as part of the world’s largest public art event “Cow Parade”. In July 2010 the cows were auctioned off with the proceeds going to regional beneficiaries and charities. Similar pop art festivals have been held in Vancouver and other cities. Of the 85 cows, a great many ended up in the town of….. Cowaramup, of course. Pictures will show up in a future post. And always with an eye out for the weird and whacky, it seems their were some hippy wannabes visiting the lighthouse. At least if their van is anything to go by! 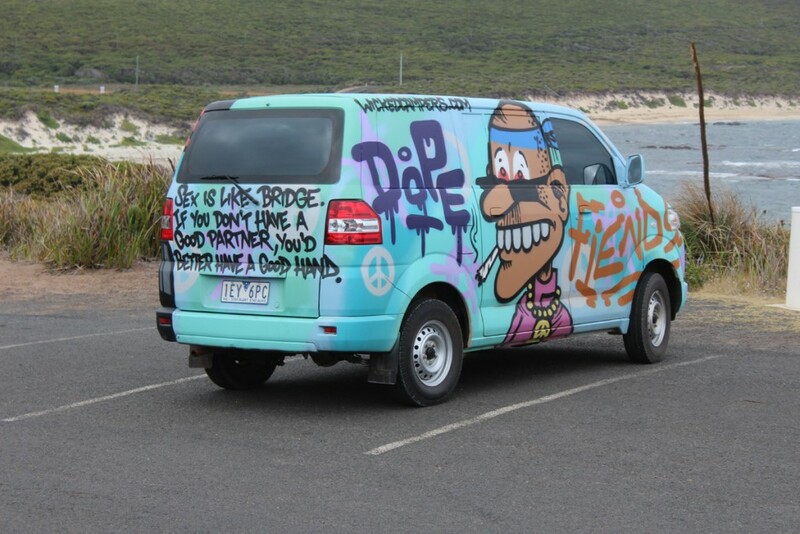 The Dope Fiends Van. Note the good advice on the back panel. A company called Wicked Campers rents out these colorful vehicles. 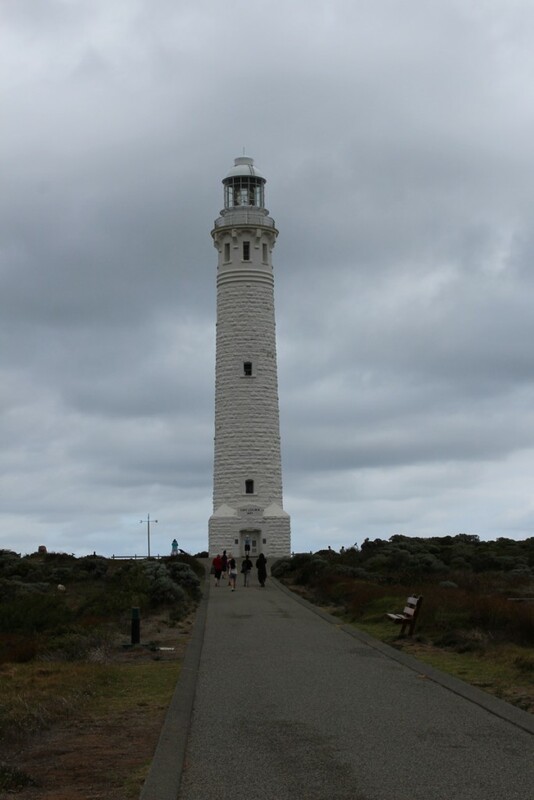 The lighthouse marked the end of our road trip and we headed back to our rented house for the night and back to Perth in the morning. But we encountered one more interesting sight on the drive back. Tree huggers! Literally! 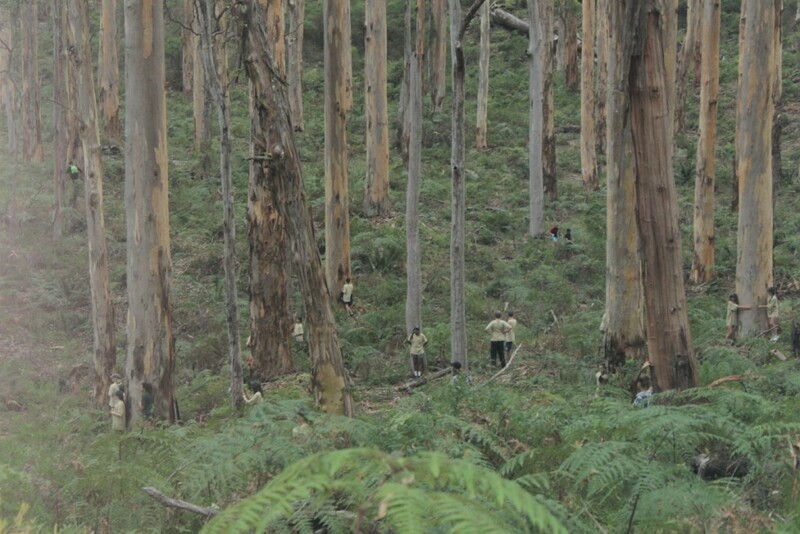 We were driving through a heavily forested area and came across several dozen people standing in the woods hugging trees. 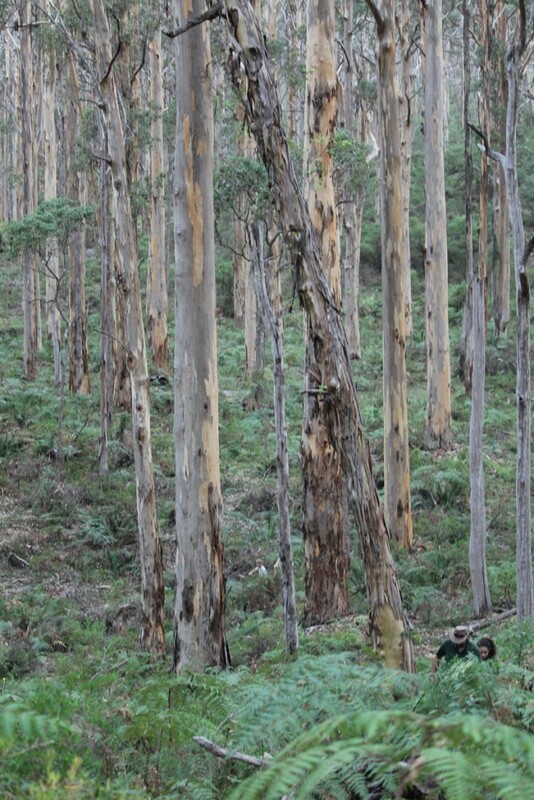 A bunch of tree huggers! Literally! Note the two at the far right. Cutaway close-up of two tree huggers from the earlier photo. We didn’t stop to chat, just snapped a couple of quick pics as we passed, so I don’t know what this was all about. There was a parking lot with some cars and a bus. A school outing perhaps? Some eccentric back-to-nature group? We don’t know. We’ll close off with a few more photos. We enjoyed the drive out to Augusta. It’s only about 50 kilometres from the town of Margaret River but much of it is windy road. And there are other stops along the way. On the way out we stopped for lunch at a berry farm that sells home-made jams. More on that with pics in a later post.